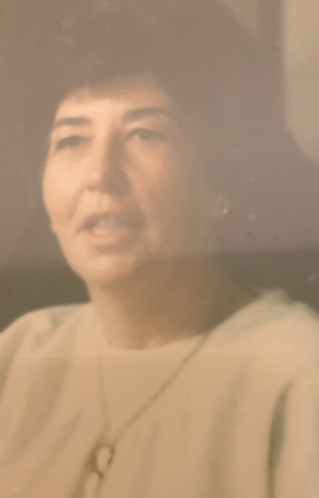 Margaret Johanna “Judy” Braun, 88, of Hagerstown, MD, passed away Friday, January 18, 2019 at Somerford House & Place of Hagerstown, MD. Born Wednesday, February 26, 1930 in Halfway, MD, she was the daughter of the late Richard D. Kerfoot and Edna R. (Bailey) Kerfoot. She was preceded in death by her husband, Edwin C. Braun, Jr. January 22, 1992. She was a graduate of Hagerstown High School class of 1948 and was very active in her class reunion committee. She was a member of St. John’s Episcopal Church in Hagerstown, MD, and a member of Woodland Garden Club. Margaret is survived by son, Lane E. Braun and wife Elaine, daughter, Johanna M. Hackmann, four grandchildren, nine great-grandchildren and numerous nieces and nephews. She was preceded in death by sisters, Phyllis Schindel, Ruth Raaum, Jane Michael and Betty Rinehart, brothers, Richard Kerfoot, Robert Kerfoot and Tom Kerfoot and son-in-law, Steve Hackmann. Services will be held Thursday, January 24, 2019 at 11:00am at J.L. Davis Funeral Home, Smithsburg, MD, with Pastor James Michael officiating. Burial will be in Smithsburg Cemetery. The family will receive friends Wednesday evening from 6-8pm at the funeral home. In lieu of flowers, memorial donations may be made in memory of Margaret Braun to Briggs Animal Adoption Center, 3731 Berryville Pike, Charlestown, WV, 25414 or www.baacs.org. Online condolences may be offered at, www.jldavisfh.com.